Commissioned poster for Martini, based on the the 60's graphic look. 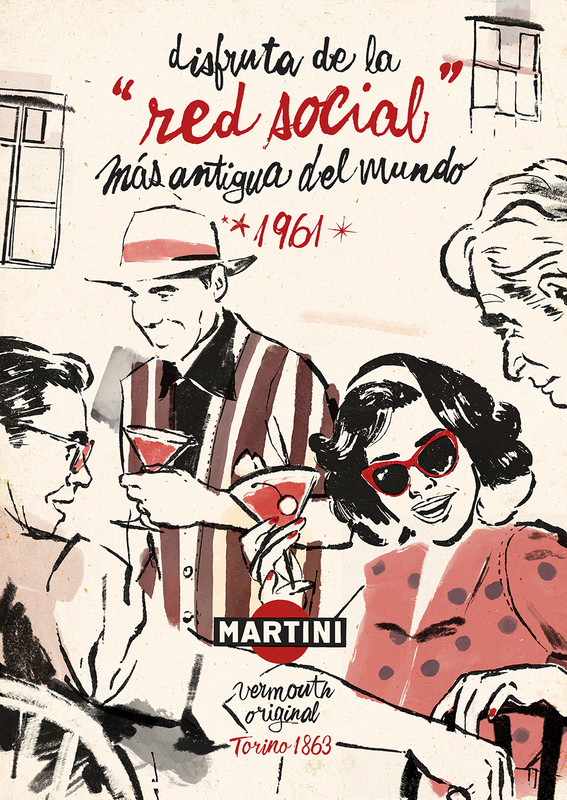 The campaign is a nod to the tradition and imagery created by Martini through their iconic posters going over decades. Four illustrators and designers revisited the history of the brand in a poster series. 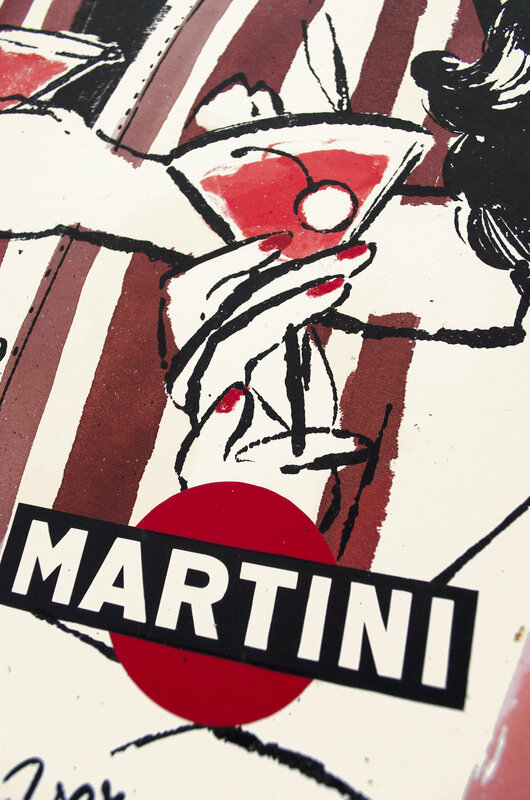 The Martini brand, and their already iconic posters, has been since the 19th century a perfect catalyst through which a lot of great artist and designers have passed by, reflecting the society, culture and arts of his time. These colorful pieces of history in paper, compiles decades of changes in the lifestyle, fashion, urbanism, typography, printing methods, etc. 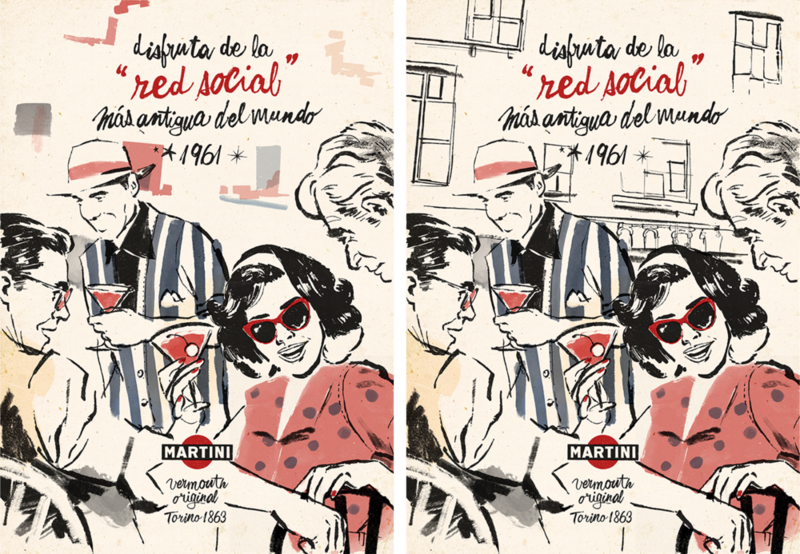 Martini Spain, in a retrospective exercise to bring together tradition and updating, has commissioned a poster series where contemporary illustrators and designers revisited the graphic history of the brand through four inspiring moments. 4 decades, 4 styles: 1863, 1919, 1948 y 1961. We were asked to illustrate the 1960's poster, with two highlighted references: 1961 and Andy Warhol.